Located adjacent to the Marsh Billings Rockefeller National Historic Park in Woodstock, Vermont, Mt. Tom was a small ski area that operated for three decades. Just a few miles south of the American birthplace of the ski rope tow, Mt. Tom likely opened circa 1951-52. With wide novice slopes, the area attracted families and beginners alike. Circa 1961, Laurance Rockefeller took over Mt. Tom and nearby Suicide Six, marketing the former for novices and the latter for experts under his RockResorts enterprise. A Poma lift was installed at Mt. Tom for the 1960-61 season, as well as a Larchmont snowmaking system. A new base lodge and parking lot were also constructed. In addition to the ski area acquisitions, Rockefeller also took over the Woodstock Country Club, which would later feature a golf course designed by family associate and noted golf course architect Robert Trent Jones, as well as the nordic skiing center. The 1961-62 season saw the addition of a novice Poma lift at Mt. Tom, as well as expanded snowmaking. By the end of the decade, the system covered some 60 acres. While Mt. Tom would not see any new lifts in its future, a new trail was cut for the 1965-66 season. 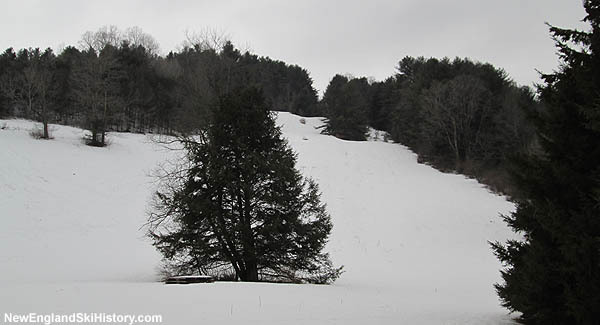 By 1967, snowmaking covered the terrain adjacent to both Poma lifts, totaling 12 acres. Additional snowmaking improvements were reportedly made for the 1967-68 and 1968-69 seasons. Meanwhile, Rockefeller acquired the Woodstock Inn in 1967, which he rebuilt for the 1969-70 season. 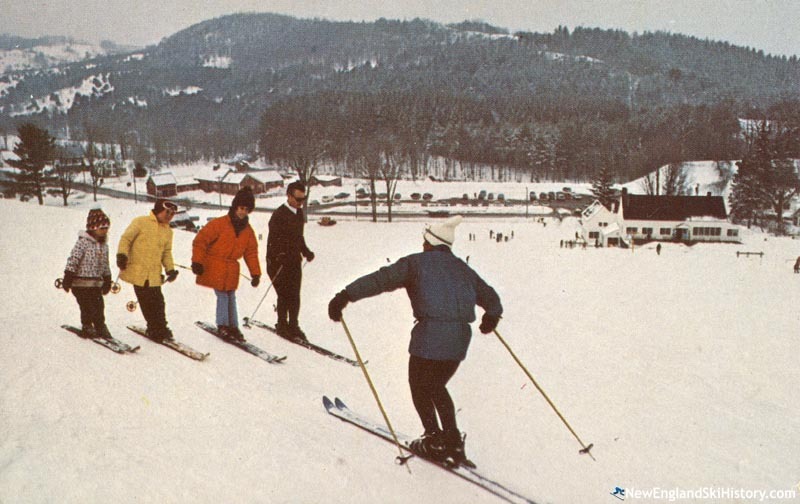 A new nordic touring center debuted in 1970. With the diverse holdings, RockResorts was able to market ski weeks including skiing at its two areas, lessons, lodging at the inn, banquets, and cocktail parties, all in the immediate vicinity of the village of Woodstock. 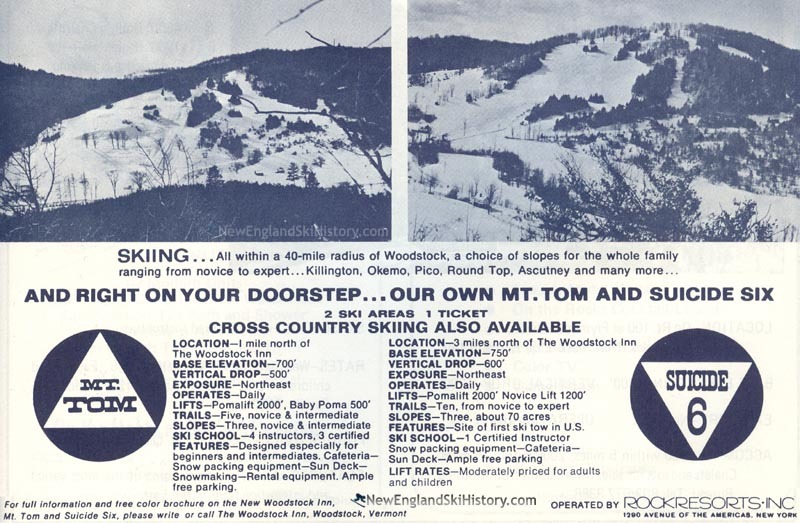 By the mid 1970s, RockResorts had two small ski areas with aging infrastructure amidst larger, more modern resorts elsewhere in New England. A series of investments was made at Suicide Six starting in 1975, when a double chairlift was installed and trails smoothed. For the 1975-76 season, RockResorts President Robert Barton announced the areas had been renamed "Woodstock's Six and Tom" to leverage the Woodstock image while also differentiating Mt. Tom from the Massachusetts ski area of the same name. Two new beginner lifts were subsequently installed at Suicide Six, the latter of which was complemented with the construction of a new lodge in 1978. The newly renovated Suicide Six was now a more balanced area, making Mt. Tom redundant. As a result, the area closed circa 1978, though some sources place the closure as late as 1981. As of 2018, the lifts are long gone, but the ski slopes remain, often used by sledders. "first skied mt. tom in 1960. in 1965 got in major trouble with coach Dailey for skiing before the state basketball championship game. lol"